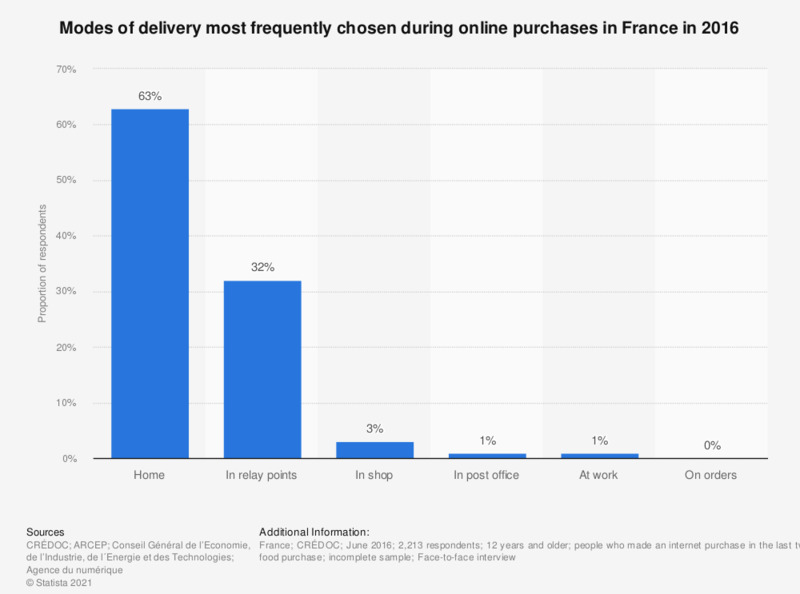 This statistic shows the modes of delivery most frequently used during online purchases (excluding food purchases) in France in 2016. According to this survey, the delivery method most commonly chosen by French online shoppers was the delivery to home (63 percent), followed by delivery in relay points, chosen by about 30 percent of respondents. In contrast, only 3 percent of French people most often used in-store withdrawal. The question was formulated by the source as follows: "Always for your purchases of goods only and always excluding food purchases, what is the delivery method that you have used most frequently in the last 12 months? "